Name: Brown & Cony in ʹMy Love from The Starsʹ. VPN Password: Get newest password from http://www.flyvpn.com/freetrial. IP Address: China IP – 61.152.249.106. Hong Kong IP – 202.146.217.84. Download Brown & Cony in ʹMy Love from The Starsʹ free Line stickers with VPN now. If you don’t know how to use FlyVPN, read tutorials here: http://www.flyvpn.com/tutorial. 1. There are about 11 stickers you can download with VPN today, let us know more details about stickers. Different stickers is available to download in different countries sticker shop. So users must connect to different countries VPN servers on iPhone or android phone to download free Line stickers. For example, If you want to download SpongeBob SquarePants stickers, you should connect to US, ID, MX, or BR VPN, then you can download it swimmingly. 2. Download free Line Stickers from other countries’ sticker shop with FlyVPN. 3. 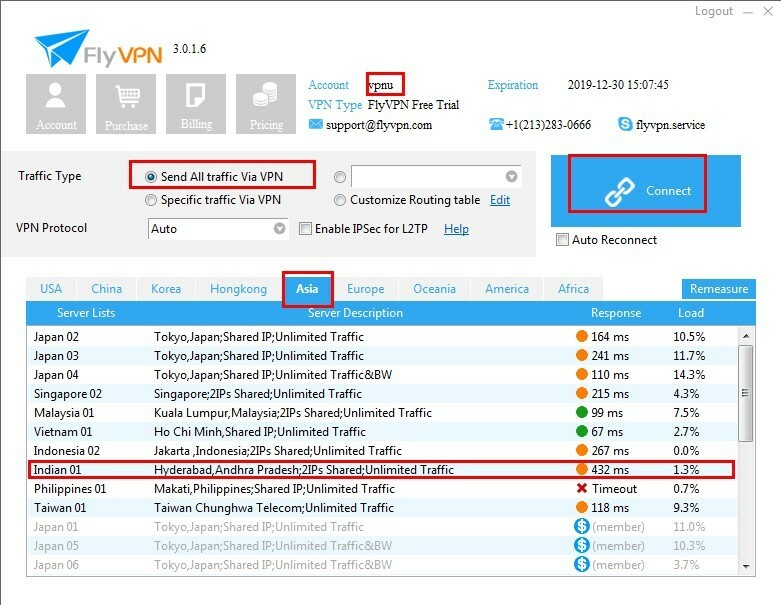 If you are a new user of FlyVPN, please read tutorials about how to use VPN on http://www.flyvpn.com/tutorial. 4. If you want to use free trial VPN service, please access http://www.flyvpn.com/freetrial. 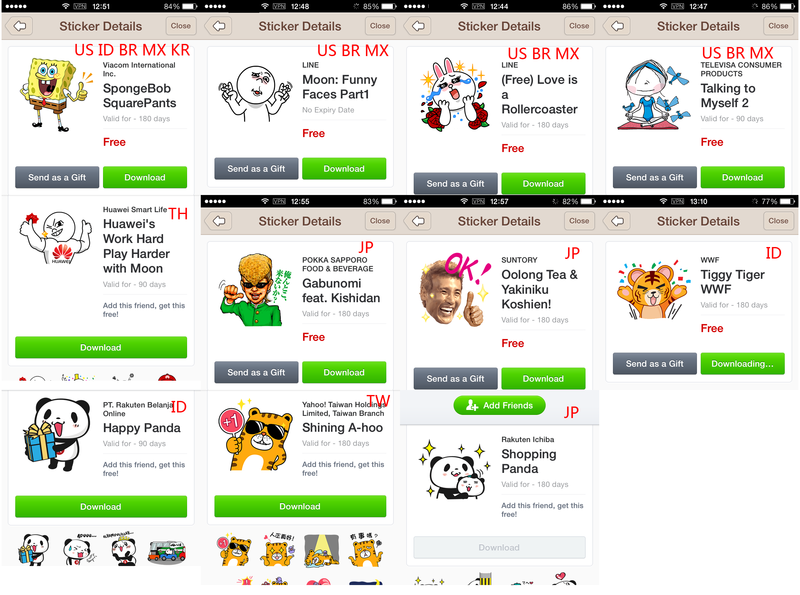 Trial accounts are always full when Line release new free Line stickers. It’s very difficult to connect. If you don’t want to try it again and again, you can buy VPN online. Download LINE characters : Love U(line://shop/detail/1696) Line stickers for free with Singapore or USA VPN. It’s free in US and Singapore Line sticker store. Download Kim Soo-Hyun: RED Series stickers with Korean VPN if you are living outside of Korea. FlyVPN is the best VPN to download Line stickers. It provides many countries VPN server. Trial accounts are always full when LINE launchs new free Line stickers. If you don’t want to try it again and again and wait for a long time. Buy VPN here: http://www.flyvpn.com/pricing. Happy Valentine’s Day! Wish all shall be well, Jack shall have jill. 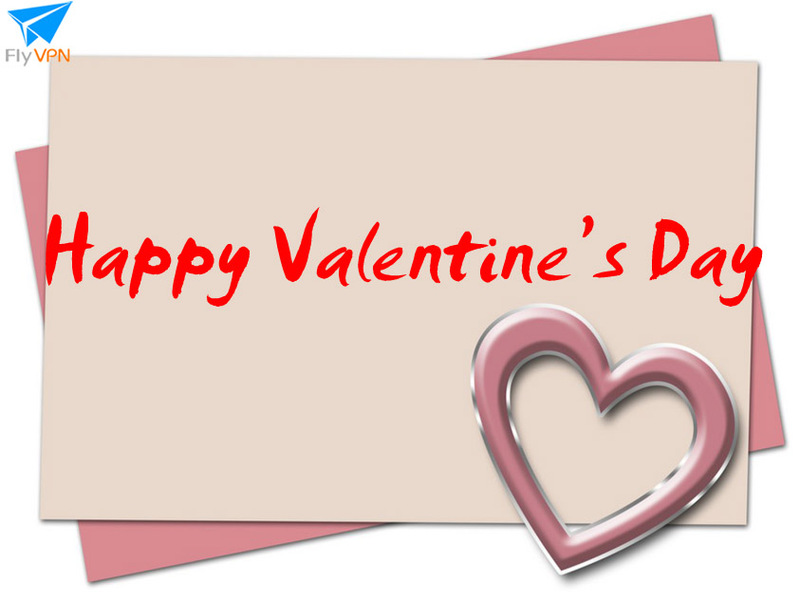 To celebrate Valentine’s day, FlyVPN will select 2 lucky winners on http://www.facebook.com/FlyVPN. They will receive a 1 month subscription to FlyVPN. All you have to do is share and like the event post on its Facebook fanpage. They will announce winners list on 17th, February, 2014. Winners can get 1 month FlyVPN premium account, including 32 countries VPN servers. It values $10. Support PPTP, L2TP, OpenVPN protocol. If you can’t access trial VPN account and don’t want to pay for VPN, maybe this is a good opportunity. Good luck! If you love FlyVPN, buy VPN here: http://bit.ly/1jDsRpF. Brown & Cony’s Lovely Date free Line stickers are available to download in many countries. 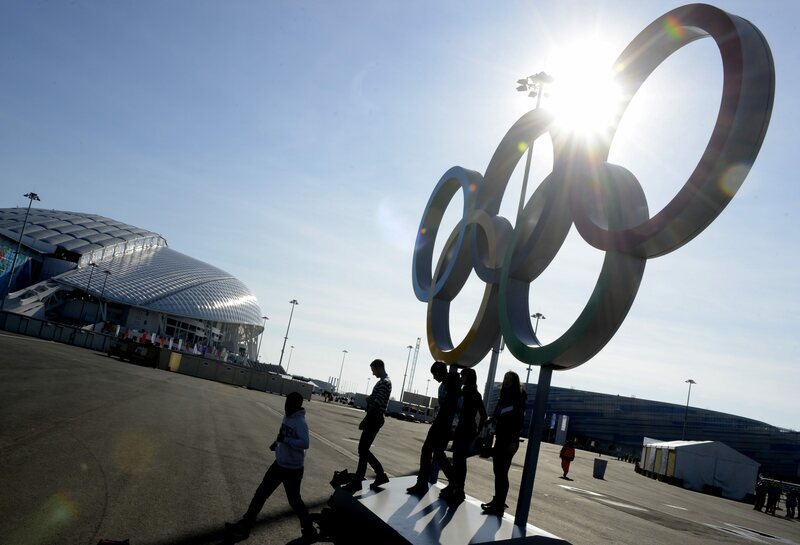 Such as China, Philippines, Vietnam, Korea, Russia, Spain, Indonesia, Malaysia, Singapore, Hong Kong, India and USA. So people can download with those countries VPN to download free Brown & Cony’s Lovely Date Line stickers. It deserves to download because it’s no expiry date stickers in China and HK sticker shop. The stickers will be removed at 14th, Feb, 2014. Don’t miss the opportunity. Connected to China or HK VPN on devices to download no expiry date Brown & Cony’s Lovely Date(line://shop/detail/1661) stickers. If you don’t know how to use VPN, please read tutorials on http://www.flyvpn.com/tutorial. Brown takes on the role of Do Min-Jun from Korean drama ‘My Love from The Stars. ’ Have fun with Brown in scenes from the series. People could download the lovely stickers before 5th, June, 2014. Line fans can connected to Korea, Malaysia, Thailand, China, Singapore, Indonesia and Taiwan VPN to download Brownʹs Love Story stickers. Those stickers are free. If you don’t know how to setup VPN on iPhone, Android or other devices, read VPN tutorials on http://www.flyvpn.com/tutorial. What is VPN? In a word, VPN is a VPN tunnel to security info and protect your data on internet. How about Singapore VPN? It means that the VPN server locations is located at Singapore. Users connected to Singapore VPN server then they will get Singapore IP address on devices. So people don’t know where you are and your real IP address. Change IP and hide IP with VPN is so simple. Whatever you are looking for paid or free trial Singapore VPN, this article can meet your demand. Search “Singapore VPN” in Google, you will get thousands of VPN service providers. Which one you should pick. 2 tips for best Singapore VPN server. Firstly, Whether it is providing money back guarantee. Secondly, Trial VPN account is available or not. Please try out its speed before investing money into it. If you haven’t found Singapore VPN service, maybe you can buy paid Singapore VPN here. 1: Download Singapore VPN client here: http://www.flyvpn.com/download. Please download pro version, including many futures. Install and run it. 2: Input account and password. Get free trial VPN account and password from http://www.flyvpn.com/freetrial. Input “vpnu” into “Username”. Latest VPN password has been listed on its official website. 3: Log in and choose “Send all traffic”, tap “Asia ” tab, then you can see Singapore VPN server has been listed under Asia tab as photo. Get Singapore VPN now after read this article. Whatever you want to configure Singapore VPN on Mac OS X, Windows 7, Windows 8, Windows XP or other Windows operating system, iPhone, iPad, android smartphone or Pad. People can go ahead http://www.flyvpn.com/tutorial to setup Singapore VPN on multiple devices.